Imagine you live on a beautiful 36 square mile island in the Caribbean. Your challenge as CEO of the Nevis Tourism Authority is to ensure that your island has the facilities to attract the right holiday makers in the right volumes while balancing the needs of your golden asset the islands, their native populations as well as politicians and developers. My guests are CEO Greg Phillip and Jane Hansom who is responsible in the UK for PR for the stunning Caribbean island of Nevis. A destination that attracts movie stars, wealthy business people and even royalty amongst its visitors. Join us to find out more about the important lessons learned when you have an important role on a small jewel of an island. 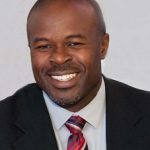 Greg Phillip currently serves as CEO of the Nevis Tourism Authority & is a Director of St. Kitts & Nevis Hotel & Tourism Association. Additionally, he serves on the Board of the Nevis Cooperative Credit Union. Greg is also a public speaker who speaks on Entrepreneurialism as he seeks to inspire both entrepreneurs & employees to become more entrepreneurial. Greg graduated from the University of St.Thomas in Houston, Texas with a Bachelor of Science Degree in Accounting, a Master of Business Administration & a Minor in Philosophy. He’s been involved in finance, tourism & sports for the past 20yrs as a manager, CEO, management consultant, board member, tour owner, tour guide & event director. Greg was the head of the Nevis Division of St. Kitts & Nevis Chamber on Industry & Commerce, President of St.Kitts Nevis Cycling Federation & General Secretary of St.Kitts & Nevis Triathlon Federation. In 2011, he was awarded the Sport Tourism Award by St. Kitts & Nevis Hotel & Tourism Association. Jane Hansom is a marketeer with over 25 years experience in creating integrated global brand marketing campaigns across media channels from TV & print to digital & social media. As an ex board director of global marketing agency 141, Jane executed campaigns for FMCG brands like Mumm Champagne, Courvoisier, Laphroaig & Sony PlayStation before leaving to set up Sponge Marketing in 2005 to focus on delivering creative marketing, PR & brand entertainment experiences to the sport, travel & entertainment industry. Current clients include Brooks Running, Odlo, Unit Nutrition, Digme Fitness, Barbados Tourism Board, Challenge Family, The Nevis Tourism Authority, Cervelo & Zone3. Jane is a keen amateur triathlete & has medalled for the Great Britain Age Group team in various World Championship Events from Sprint to Olympic distance. 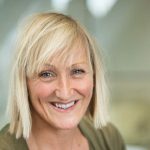 Jane sits on the board of the Triathlon Industry Association & advises government sporting bodies like London Sport on how to increase participation in sport. Chris has been my business coach for over a year and has now helped my team understand the value of talent dynamics. They absolutely loved their time with him and learnt so much about themselves and each other. I would highly recommend Chris, as he is professional, kind and a genuinely lovely man. He tailored the team day around what we wanted to achieve and showed flexibility when required. Chris is a valuable asset to any business and an inspiring coach.